The L.I.F.T. 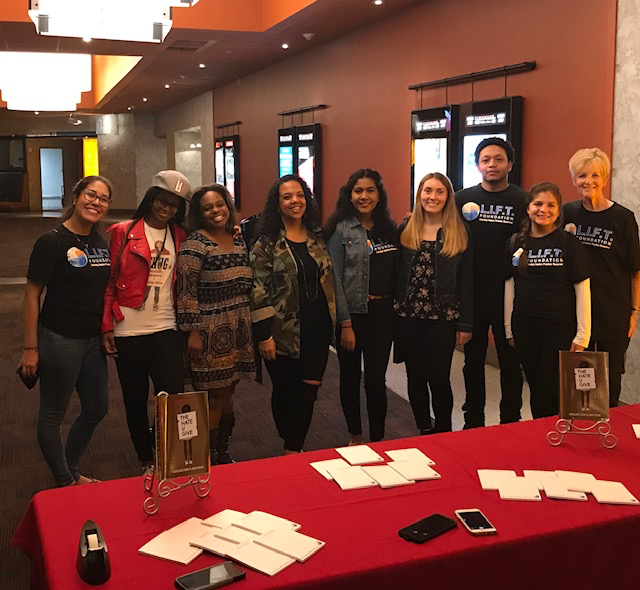 Foundation is the proud to sponsor movie events for students with showings of Black Panther and The Hate U Give, along with an esteemed panel of guests invited to discuss current issues spotlighted in these two powerful movies. After watching Black Panther students from Horace Mann Community School had a question and answer with Christian Green, an activist, completing his Masters in African American Studies, Tunette Powers, a PhD Candidate in Community Schools and Social Policy focusing on educating Black parents to provide equitable opportunities and advocacy for their children, an author, and activist, and Sarah Lautaha-Soakia, a PhD Candidate in Urban Planning. All study and research at U.C.L.A. Students then returned to school with box lunches. L.I.F.T. Scholars joined the students to lead a “Conversation with L.I.F.T. Scholars”, discussing the importance of college to fulfill their dreams and the best preparedness techniques for college. Each shared their personal journeys and answered questions posed by students. 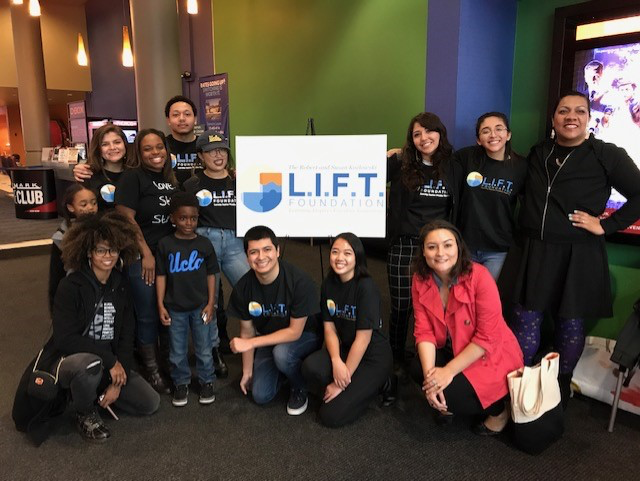 After teachers at Roosevelt High School and Dr. Maya Angelou Community High School applied for L.I.F.T. 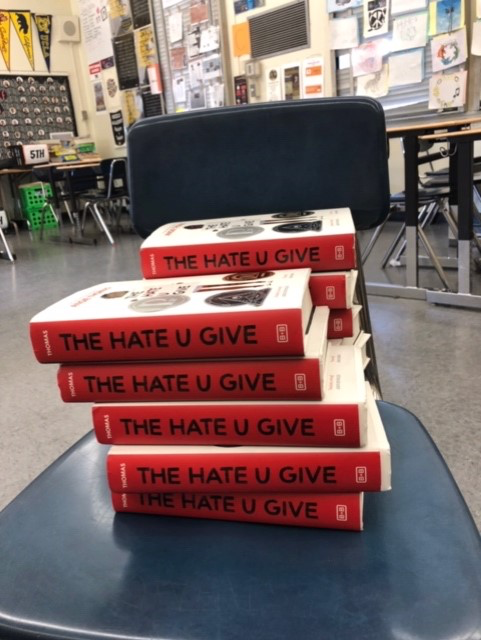 Teacher Grants to purchase the novel The Hate U Give by Angie Thomas, the movie version hit the big screen. The L.I.F.T. 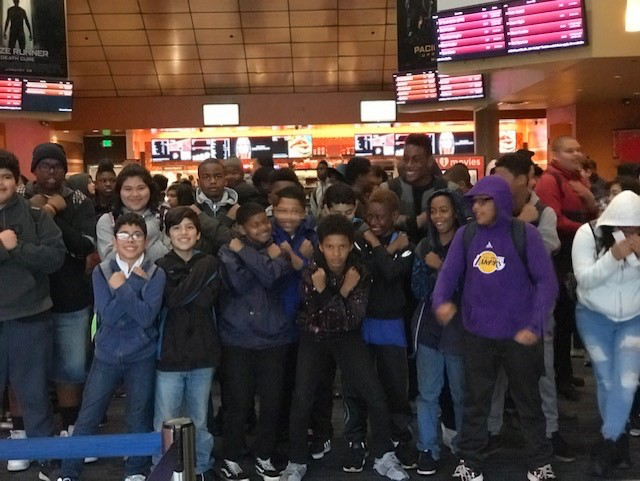 Foundation had its BIGGEST event to date taking 365 students and teachers from Dr. Maya Angelou Community High School, Roosevelt High School and Mendez High School to watch the movie and be part of a question and answer session with a panel of experts in the areas of social justice in our schools, health care systems, and the criminal justice system. Tunette Powers, who spoke at the Black Panther event organized the panel of guest speakers. Shamell Bell, an activist, professor at U.C.L.A., consultant on the film The Hate U Give with a movie role as an activist, Stephanie Keeney Parks, a doctoral student in the department of Anthropology specializing in the everyday lives of Black parents with children who have autism, Terry Allen, a lead researcher for the Million Dollar Hood project which maps the fiscal and human cost of mass incarceration in Los Angeles as well as a PhD candidate at U.C.L.A. 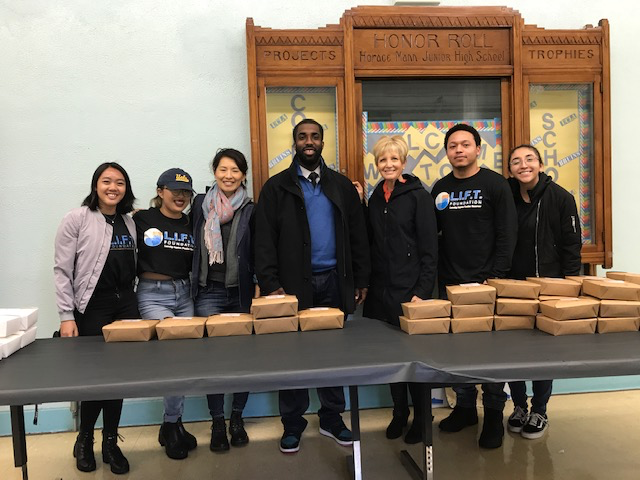 as well as Tunette Powers offered students a safe and insightful space to discuss the movie and the urban Los Angeles communities where these students live. The L.I.F.T. Scholars and the distinguished guest speakers all are role models for these students to know they too can make a difference. With the power of an education, something no one can ever take away, these students are given a voice for change. They were encouraged to continue reading, questioning, getting involved in the community and pursuing a college education!